Recently, a potential client asked me to copy a competitors’s website content for his new business. He wanted me to duplicate the design and at least 30 pages of copy. Truth be told, the copy wasn’t well-written and was probably copied from somewhere else. I told him I don’t duplicate websites but would create a similar design with some of the elements he liked. I also offered to read through the competitor site’s page text, do some research, and write original copy for him. He balked at the fee and, in the end, decided to contract with someone on fiverr.com. Someone who, I’m sure, would be happy to copy and paste an entire website of text. I mean, an individual in India who promises to give you a 10-page website for $250 is probably not too worried about copyright infringement or plagiarism. This situation made me realize two things: 1) Too many people in today’s digital world think it’s perfectly acceptable to copy someone else’s work, and 2) Integrity is becoming a rare trait among we humans. Some say it’s just a sign of the times. With access to billions of web pages and unlimited sources of digital property, plagiarism will inevitably become rampant. Many people feel that if something is out there on the interwebs, it’s up for grabs; free for all to use as if they’d created it themselves. If you’re serious about long-term business growth, intelligent, original website content is vital for your online presence. First of all, I understand that the cash-strapped entrepreneur may be tempted to take shortcuts. But, a wise business owner should never go down that road. Instead, make the commitment to yourself and develop authentic and creative ways to promote your product or service online. If you’re at a loss for words, hire a pro to turn your rough ideas into flowing text. If you’re not sure what a good tagline is, an experienced content marketer can help you. Take the time to search for and find a website content writer who connects with your business vision and understands your goals. A professional content writer can help you put together effective web copy that will elevate your business reputation, attract a higher level of customer engagement, and increase sales. Alternatively, you'll wind up with a website that doesn’t fully represent your business. Even if your competitor has amazing content and a solid marketing strategy, you should never attempt to duplicate their website. Your business is unique. What works for one business may not work for the next. Think about it, if you’re not able to honestly tell potential customers what you (and only you) can do for them, how long do you think you’ll be in business? What does copy-and-paste website content say about you? You are lazy. If you don’t want to invest the time and energy in creating original content for the most important marketing tool for your business, you probably won’t see much long-term success. You haven’t really thought about why you’re in business in the first place. If your only goal is to make money, it’s easy to steal someone else’s words. They’re just pixels on a screen, right? Wrong. Those words and images define your business and you should want the most accurate and legitimate definition possible. You’re suffering from a lack mentality. Fearing you don’t have enough money to invest in quality, you will probably cut corners in other ways and provide subpar service using cheap supplies. You don’t respect the work that a fellow human put into developing and writing their own web content. Will you treat your customers with the same level of disrespect? Can you spell ethics? Even if most people visiting your website won’t know that they can read the exact same thing on another website, it’s still wrong. On the one hand, I’m happy that technology has made it possible for so many people to take the entrepreneurial path and start a new business. On the other hand, many of these people don’t know the first thing about marketing a business. With no guidance, they are looking for the cheapest way to get into the market and make money. Unfortunately, most will learn the hard way that the key to a successful website is providing a quality online experience for potential customers. Creating that experience takes time and effort. In conclusion, if you’re serious about long-term business growth, intelligent, original website content is vital for your online presence; especially when optimizing for search engines. If you need help, hire a pro. Most importantly, hire one with an impeccable command of the English language and all of its usage, grammar, and punctuation rules. 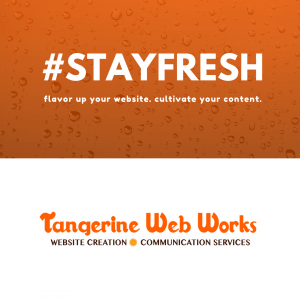 To learn more about how to cultivate your website content, enhance your search results, and grow your business, give us a call.